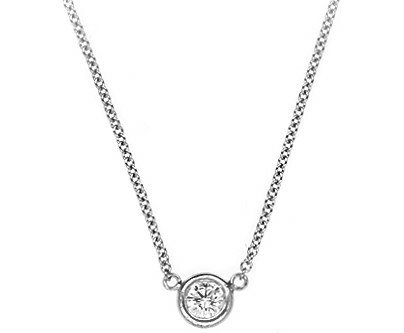 14kt white gold 16″ length necklace with one bezel set round brilliant cut diamond. Hand picked and high quality. Can be made in 18″ length. Can be made with different size diamond, quality or gemstone. Please contact us for price.